According to Burleigh (“Biff”) Wyman, longtime maple syrup maker, the 100 year-old New Hampshire sugar bush he operates is blessed with sugar maples like “nowhere else in the world.” On about 100 acres on the southwest slope of Mount Cabot, he taps just under 8,000 trees in late winter/early spring—the sap runs during the period when nights are freezing, but daytime temperatures reach about 10 to 15 degrees higher. (It’s the pressure built up in the tree that causes sap to flow from the tap hole.) Unlike in the old days when the sugar maker hung buckets on trees to collect the sap, today Wyman runs about 50 miles of plastic tubing from the trees to one collection area. 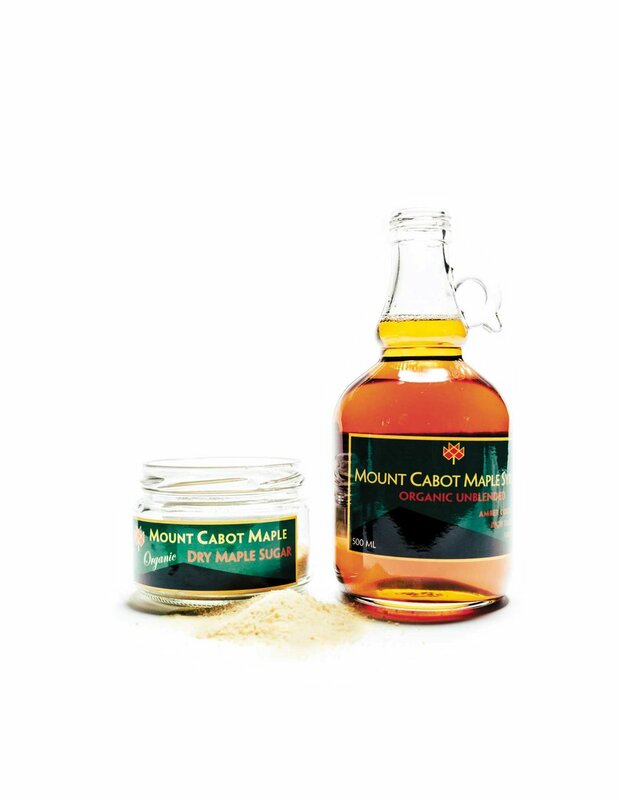 Most of the syrup Mount Cabot Maple makes is “Grade A Amber Color, Rich Taste” (per the relatively new grading system) and whether you drizzle it on pancakes, French toast, or a bowl of yogurt, you can tell just how fine and distinctly maple, slighlty caramel-like, the syrup tastes. The golden liquid is organic, single-source, and not blended with any other syrups. “We only sell what we make,” says Wyman, who at 70, has been involved in syrup making most of his adult life. In addition to syrup, the company produces maple cream, a thick, creamy spread for toast (or anything else you can dream up), and maple sugar. Both products are achieved by further boiling of the sap and, for maple sugar, crystals form when the moisture completely evaporates. Wyman credits good soil and healthy trees for his well-regarded syrup, but his careful stewardship of the land and talent for syrup-making should not be discounted. “A properly managed sugar bush is sustainable,” he says. Trees are naturally seeded and the most robust seedlings grow, eventually, into crop trees; when old trees die, they’re removed. It’s a productive and delicious cycle many centuries old.